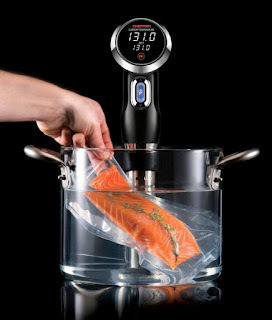 Today ONLY - *POPULAR* CHEFMAN - Sous Vide Precision Cooker $49.99 (Retail $99.99). Create restaurant quality meals with this Chefman sous vide precision cooker. Smart sensors maintain heat levels, so meat and vegetables turn out just right, and the LCD display keeps the temperature and cooking time a quick glance away.